1. Make small slices in your roast and insert the pieces of garlic all over. 2. In a skillet, brown the pork shoulder on all sides over medium/high heat. 3. While your pork is browning, add the broth, chiles and bay leaves to your crockpot. 4. Once your shoulder is browned and cool enough to handle, rub with salt, pepper and cumin. 5. Place it in the crockpot and cook on low for 8 hours. 6. 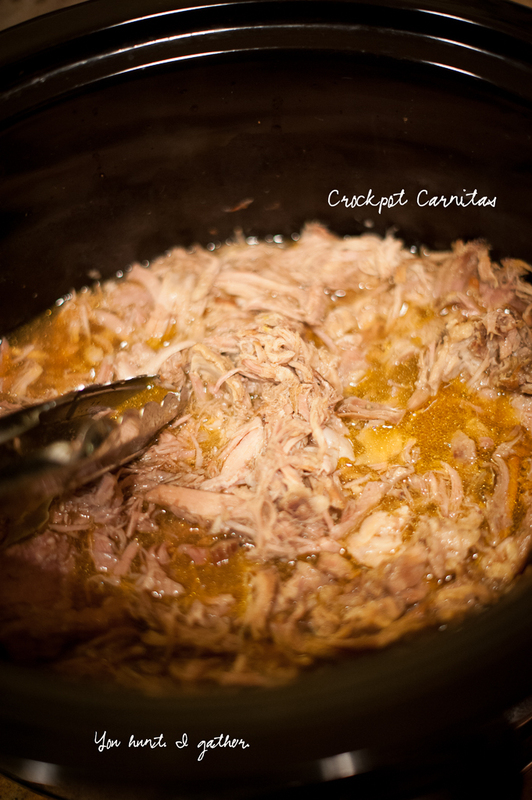 After 8 hours, remove the bay leaves and chiles and shred the pork right in the crockpot. It should fall apart really easily. 7. Let it cook another 15 minutes. 8. Top with chopped onion and cilantro and enjoy! !